Marvel's Spider-Man: What Did the Sony Hack Reveal? Last week, superhero fans got the news they've been waiting several years for, with Marvel Studios and Sony Pictures solidifying a deal that finally brings Spider-Man into the Marvel Cinematic Universe. The official announcement revealed that the new Spidey will be introduced in an upcoming Marvel movie, which, according to several different reports is Captain America: Civil War, before a brand new stand alone Spider-Man adventure, produced by Marvel's Kevin Feige and Sony's Amy Pascal, which is set for release on July 28, 2017. As you may well know, late last year, when thousands of internal documents were leaked from the Sony hack, some of those documents gave us a glimpse into Sony's plans for the web-crawler, which are well worth examining once more, now that the deal has gone through after several months of negotiations. While some of these details have since been confirmed others have not, so we'll have to wait and see how Sony/Marvel's deal pans out for both companies before we know more. Until then, let's take a look at the details uncovered late last year from the Sony hack. Are Joe Russo and Anthony Russo Producing Spider-Man? Shortly after the official Marvel/Sony/Spidey announcement, several reports confirmed that The Amazing Spider-Man and The Amazing Spider-Man 2 producers Avi Arad and Matthew Tolmach were "demoted" to executive producers on the new Spider-Man movie, meaning they no longer have any creative say in the franchise's direction. One of the Russo brothers emails to Pascal hinted that "a difficult conversation" would have to ensue with Avi Arad and Matthew Tolmach, who, along with director Marc Webb, were the primary architects of The Amazing Spider-Man franchise. Marc Webb is also gone, along with star Andrew Garfield. It seems the "difficult conversation" has already happened, with Avi Arad and Matthew Tolmach now essentially gone, but we'll have to wait and see if this paves the way for the Russo's to come on board. Then again, Kevin Feige will essentially be representing Marvel as producer on the new Spidey adventure, so the Russos may not be needed. 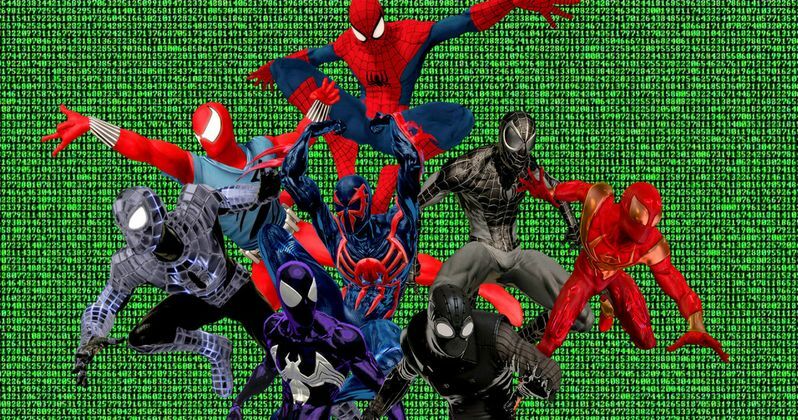 One of the Sony hack reports revealed that Sony wanted to develop a whole new Spider-Man trilogy, making this the third reboot of the beloved character, following Sam Raimi's original Spider-Man trilogy and the two Amazing Spider-Man movies. The official announcement only said there was one new Spider-Man movie in the works, but, naturally, if that actually succeeds at the box office, Sony will surely put new Spidey adventures in their theatrical pipeline, so they can continue retaining the full rights to this beloved character. At this time, though, the trilogy has yet to be confirmed. Marvel had been trying to secure Spider-Man for Captain America: Civil War for quite some time before the deal was announced, so the character might have a larger role in the Phase Three sequel. Even though production hasn't started yet on Captain America: Civil War, shooting is expected to begin later this year. Emails between Sony executives revealed the web-slinger would only have a cameo in Captain America: Civil War, and there was also talk that he would appear in The Sinister Six. That spin-off was set for a November 2016 release, but has now been put back into development, so it isn't known when that movie may hit theaters. How Will Spidey Fit Into the MCU? Even though Spider-Man will likely make his debut in Captain America: Civil War, leaked emails revealed that Sony didn't want their new stand alone adventure to be a direct follow-up to that movie. However, executives did state in leaked emails that Spidey would still exist in the same world as Captain America: Civil War, where characters are divided over the Superhero Registration Act. According to more leaked emails, Spider-Man's appearance in Captain America: Civil War involves him meeting Black Widow (Scarlett Johansson), Captain America (Chris Evans) and Iron Man (Robert Downey Jr.), with Iron Man giving Spidey the Iron Spider costume from the Civil War comic book. It is assumed that this same costume will be used in the 2017 Spider-Man movie, hence connecting both worlds even more. After the critical and financial failure of The Amazing Spider-Man 2, Amy Pascal, who at the time was running Sony Pictures before she left to produce the new Spider-Man movie, approached Sam Raimi to either direct or produce the stand alone movie. It was never confirmed if he is coming back, but the filmmaker recently expressed his displeasure with the studio in an interview, so it doesn't seem likely that this will happen. Spider-Man currently doesn't have a director attached, but leaked emails revealed that Sony was seeking a deal for Drew Goddard to both write and direct the new adventure. He is currently attached to write and direct The Sinister Six spinoff, but it isn't clear when that may actually see the light of day at this point. It's worth noting that the filmmaker actually left another Marvel project, the Netflix TV series Marvel's Daredevil, to work on The Sinister Six, but now that has been put on the back-burner. We'll have to wait and see if Drew Goddard will in fact write and direct the new Spider-Man, but it seems that, at one point, he was the studio's top choice. Several reports from earlier this week confirmed that Spider-Man will go back to high school as a Midtown High student, but, at one point, Sony was considering making Spider-Man an adult. It seems this isn't happening any more, since the producers reportedly want to focus more on his life as a student, and the awkward relationships he forms at Midtown before becoming a crime-fighter. One of the leaked emails suggested that the comic book Kraven's Last Hunt would be a potential story line used in the Spider-Man reboot, but that has yet to be confirmed. Kraven is thought to be one of the villains in The Sinister Six spinoff, but we're not sure if that lineup has been finalized yet. The Marvel/Sony announcement only said that Spider-Man will be introduced in one Marvel movie (likely Captain America: Civil War), with the Sony stand alone movie to hit theaters in July 2017. While it was confirmed that Sony still retains all distribution rights and creative control of Spider-Man, there were also reports that Spider-Man may appear in Avengers: Infinity War Part 1 and Avengers: Infinity War Part 2. It seems that Marvel wanted Sony to guarantee that the second Spider-Man movie be released in 2019, because Marvel didn't want there to be too long of a delay between the stand alone movie and its sequel.